System Certification is a legally mandated, systematic procedure for evaluating, testing, and authorising systems before or during operation. However, inspection for certification in offshore environments is often labour intensive, risky and expensive. A major obstacle for adopting Robotics and Artificial Intelligence (RAI) for certification is the need to assure systems in terms of their safe operation. While safety and certification procedures have a track record for traditional industrial assets such as oil-drilling rigs, the existing regulatory frameworks do not effectively address the technologies used in RAI systems. This is especially true for self-adaptive or self-learning systems. 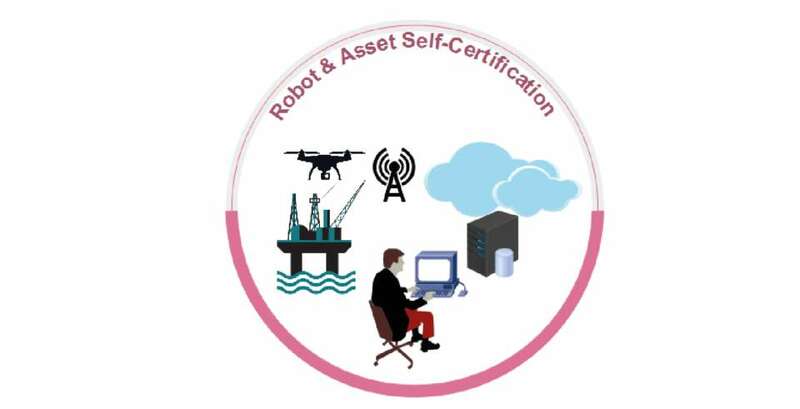 Led by Professor David Flynn from Heriot-Watt University, the Robot and Asset Self-Certification team are working closely with ORCA's industry partners and also industry regulators to design RAI systems that can self-certify, diagnose faults and guarantee their safe operation. A crucial output of the project will be working closely with regulators to develop standards and formal requirements for offshore RAI self-certification. This will have a wide impact on the development of formal benchmarks for robots in extreme environments, leading to a step change in the assessment of robotic research in academia.